In Covil: The Dark Overlords you will struggle for the supremacy of the regions surrounding an isolated town. 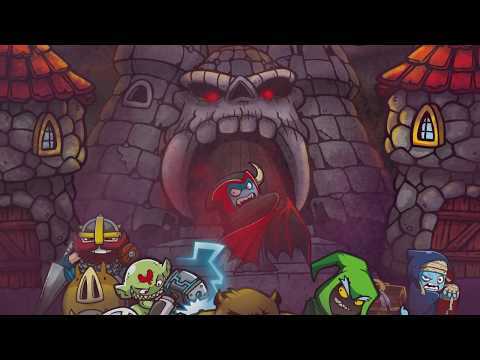 Each player controls a Dark Overlord with unique powers and countless minions to “defend the world from enemy hordes”, bring “peace and security to the territories” — at a cost, of course! The game is a tribute to the awesome 80's cartoons, filled with references to our favorite and unforgettable characters.